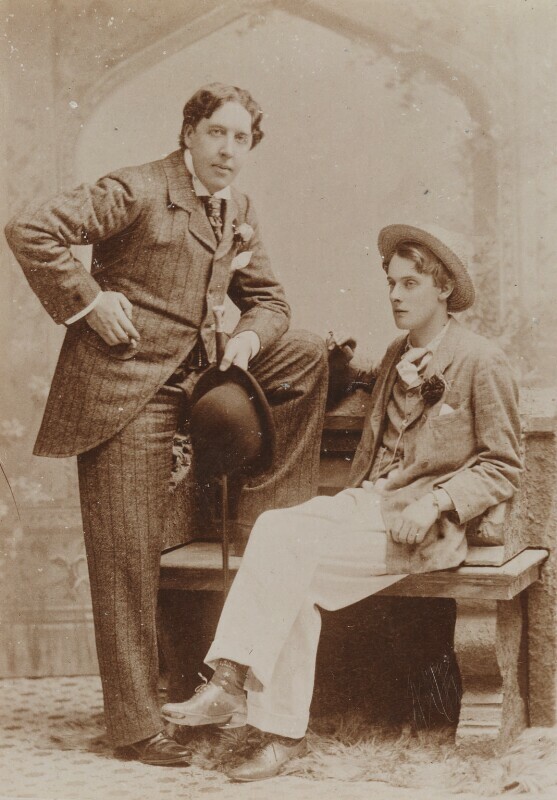 Here are Oscar and Bosie in May 1893 at the studio of photographers Gillman & Co. of Oxford, whose establishment was at 107 St Aldate’s Street. That location today, to set a tone of bathos, is a Ladbrokes Off Track Betting Shop. This well known picture captures the boys relaxed and smoking, distant even—apparently between arguments. But upon inspection you’ll see that, in keeping with their lives, all was not as it seems.